@dusty44, it's not a repost if you have Alzheimer's. Everyone is all banning straws and plastic bags, but what was fan-fvcking-tastic was when there would be samples of sausages or hot dogs, and they'd use a little pretzel stick instead of a toothpick....AND IT WAS DELICIOUS! 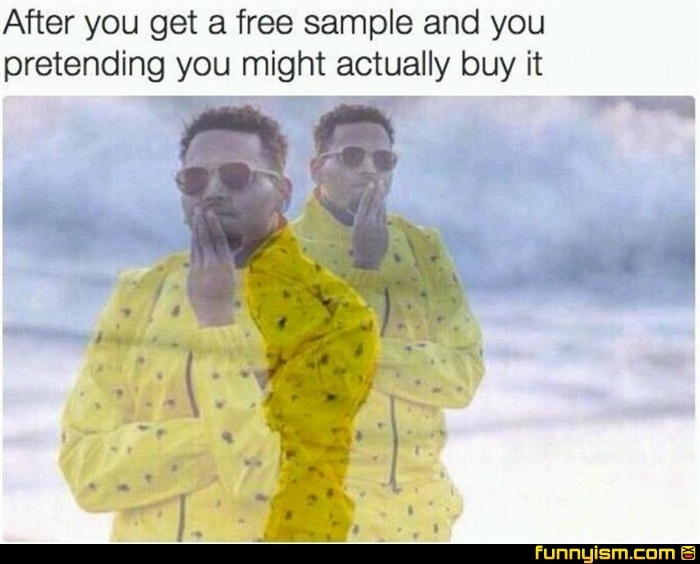 I work at a Beef Jerky store that has samples of everything always set out for the customers. About 75% of my job is cutting up small pieces of every kind of jerky imaginable - kangaroo, ostrich, slap ya mama. It's a glorious job.